The ferment that is taking place not only in medical and psychiatric education but also in medical and psychiatric practice is not only intense but may also serve as a harbinger of even more radical changes to come in the distribution of health care generally and, more specifically, the distribution of psychiatric care. Psychoanalysis is an integral part of this emerging and changing picture. Patterns of change having to do directly with the delivery and funding of healthcare resources and problems related to the place of psychoanalysis in organized psychiatry and medicine are creating pressures which inevitably influence patterns of psychoanalytic practice. Major issues in the current context focus upon concerns about cost containment and peer review—related aspects of the growing tendency toward increasing regulation and surveillance of medical care. I will discuss a series of interrelated issues, including cost of treatment and the extension of psychoanalytic understanding to the broader area of psychotherapy together with the shifts in psychoanalytic practice that accompany it, issues related to problems of peer review and the more general question of the relationship between psychoanalysis and institutionalized psychiatry and medicine as exemplified in the dilemma over training of non-medical candidates by psychoanalytic institutes. I would like to suggest here a set of complexly interrelated factors that form a significant background for the problems under discussion. The general situation confronting us is one in which there is a rising demand for, and utilization of, healthcare resources combined with the sky-rocketing costs of medical treatment at all levels and a relatively limited supply of essential personnel to provide such services. 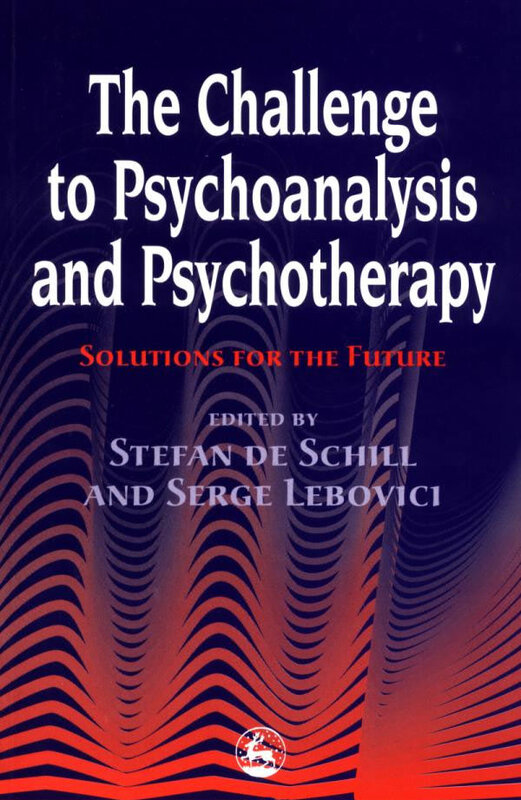 Changes are taking place in the world in which psychoanalysis is practised, but significant changes are also afoot within the discipline of psychoanalysis itself that are currently and will continue to dictate patterns of psychoanalytic practice in the future. Perhaps the most salient change in psychoanalysis is its gradual demedicalization. The echoes of old controversies over the question of ,lay analysis’ are still alive (Wallerstein and Weinshel 1989), but the issue is not being decided in principle but by the inexorable social pressures generated outside analysis. A medical degree is no longer required for full analytic training in the United States—a development that draws the training requirements of the American Association closer to those obtaining in the rest of the world (Arlow and Brenner 1988). The opening of training by the American Psychoanalytic Association to non-medical candidates and the establishment of institutes directly under the International Association have profound implications for training and practice, especially with regard to the question of establishing uniform standards for both. Powerful currents of social and economic change and increasing demands for the improvement of the quality and distribution of medical care are having far-reaching effects on the organization of medical and psychiatric practice and, inevitably, will drastically influence training programs. These changes are related to two important developments: first is the increasing emphasis on the distribution of care to all segments of the population—the tendency to regard healthcare as a general right—a praiseworthy policy that may, however, lead to an underemphasis on the quality of care and the traditional medical dedication to excellence in training, specialization and research; and second, that in dealing with the burgeoning cost of healthcare, increasing reliance is being put on third-party payment programs, both public and private, and on strategies of cost control (Michels 1988; Wallerstein and Weinshel 1989). Medicare, Medicaid and Blue Cross/Blue Shield are the substantial representatives of this development. Already looming on the horizon is the prospect of national health insurance programs and the increasing federalization and governmental control of the organization and operation of health care systems. If the proponents of a national health insurance program have been stymied by the threat of increasing budget deficits, efforts toward increasing regulation and fiscal control have not diminished, spurred by the demands for containment of rising medical costs. Coverage of long-term intensive psychotherapy has been sharply curtailed. Coverage in some countries is more adequate—total in Canada and Sweden, generous co-payments in Belgium, full coverage with a limit in Germany—but the trends in the United States lie closer to the British modelthat is, once weekly—and anything more intensive can only be sought privately (Wallerstein 1991). There is already a perceptible trend in the direction of organizing healthcare and training around regional academic medical centers. The power base of medical and speciality training is thus shifting in the direction of an increasing tendency to put residency training programs under university auspices. It seems likely that the day of self-sufficient training centers separate from university medical centers is thus limited. Academic medical centers will increasingly assume institutional responsibility for most graduate medical, educational activities. The challenge, if not threat, in all of this to psychoanalysis should be quite clear. The psychoanalytic emphasis on individual treatment at high cost over lengthy periods of time, the necessity for length and sophistication of treatment and its relative unavailability to less educated or intelligent or economically less solvent elements of the community all place it in diametric opposition to these prevailing social, political and economic pressures. The threat is that psychoanalysis will become increasingly isolated and be forced to play an increasingly minimal role in the treatment spectrum and, ultimately, in medical and psychiatric training. It is interesting, for example, that national health insurance programs offer very little room for support of either long-term intensive psychotherapy or psychoanalysis. Even in the current context of practice, there are inexorable pressures both in the area of federally-funded programming and in support offered by private insurance carriers to undercut, minimize or eliminate coverage of long-term intensive outpatient psychotherapy (Wallerstein 1991). The battle has only begun to be joined, but there is by no means any assurance that the prerogatives of traditional psychiatric approaches and the need for intensive treatment of individual psychopathology are guaranteed. But, as Michels (1988) has observed: Advances in the neurosciences will add new dimensions, refinements, and limiting circumstances to psychoanalytic explanations, but they can never replace understanding in terms of human intention, meaning, and relationship. Human existence will always be experienced in terms of desire, feeling, and personal history the stuff out of which we create the meaning of our lives—and psychoanalysis is the path to understanding those meanings. The influence of psychoanalytic thinking on contemporary hospital practice is undergoing increasing erosion. The movement away from psychoanalytically-based psychotherapy as a primary modality of hospital treatment began in the 1960s, abetted by the advent of effective psychopharmacology and the therapeutic milieu. Hospital psychiatry became increasingly eclectic and the psychoanalytic approach was reduced to one among a variety of treatment approaches. The result was a mixture of gains and losses—gain in the availability of multiple treatment resources and loss of a consistent theoretical orientation that can leave contradiction and confusion in its wake (Namnum 1985). The psychoanalytic orientation emphasizes the role of unconscious forces and resistances in both patients and staff. Treatment concerns center around the understanding of transferences and countertransferences and their effects on the patient’s progress. Value is placed on the understanding of the patient’s life history and behavior. The effort is made to facilitate growth through increasing the patient’s capacity for self-understanding and meaningful relationships. Management of the patient’s behavior is subordinated to therapeutic understanding, even as the necessity for management and observance of the limitations of hospital structure are an integral part of hospital treatment. The psychoanalytic approach regards symptoms as having meaning, as derived from unconscious conflicts and defenses and as compromise formations expressing important aspects of the patient’s inner world and history. Thus careful diagnosis plays an important role, not merely attaching a descriptive label on the basis of readily-observed symptomatology. Diagnosis rests, in part, on continuing interaction with the patient in both the therapeutic and milieu contexts. Thorough diagnosis is the result of a multi-faceted approach which includes the basic metapyschological perspectives (developmental, dynamic, economic, structural and adaptive viewpoints) (Ross 1985). Treatment in a psychoanalytic hospital is individualized and provides a range of therapeutic approaches, including psychoanalysis or psychoanalytic therapy. The decision as to the appropriate therapeutic approach is a function of diagnosis, as an assessment of the patient’s needs, circumstances and resources. Treatment is not directed merely to the removal of symptoms but to the resolution of patterns of conflict-and-defense and difficulties in interpersonal relationships as they come into focus in the hospital setting. All of this takes time—time to come to know the intricacies of the patient’s character and defenses, time to gain an adequate diagnostic understanding, time to learn the pattern of the patient’s resistances and capacities for relationship, time to allow the pathological expression of transferences to emerge, time to build an adequate therapeutic alliance, and so forth (Ross 1985). However, the winds of change are blowing in the opposite direction. DSM-III, and subsequently DSM-III-R and DSM-IV, enforce a diagnostic system which focuses on patterns of symptoms and observable behaviors. The approach is descriptive rather than dynamic. As Zee (1985) has commented, it fosters a view of psychiatric disorders as ‘entities’ rather than products of a dynamic process, sacrifices validity for reliability, stresses observational facts that may be irrelevant to an understanding of the patient and obscures a view of the patient with his conflicts, wishes, values and struggles. Needless to say, cost containment plays havoc within the hospital setting as well. Psychodynamic treatment is regarded as uncertain, lengthy and excessively costly. It is, therefore, to be curtailed and discouraged. Treatment approaches, including diagnosis and therapy, which offer promise of quick and efficient performance and can be completed in specifiable and brief time segments are supported. The system shifts its emphasis to doing the least for patients so that they can be released from the hospital quickly. The system is not interested in doing the most or best for patients. Patient turnover is high. Patients are generally difficult to keep in treatment. The opportunity for developing a meaningful relationship and alliance with patients is no longer available in the hospital. When patients are discharged there is little in the way of solid ties. Residents tend to have brief and unsatisfying contacts with patients. Enduring therapeutic experience with individual patients, which was the staple of earlier training efforts, is the exception rather than the rule. The emphasis shifts away from the understanding of the patient’s inner life and conflicts to issues of management and the elimination of symptoms. One has the feeling that one is merely keeping the lid on and not, in general, having any significant impact on patients’ lives. The problem posed within psychoanalysis by these external trends and pressures arises from the need to create a transition from the rich understanding of the therapeutic process that is derived from psychoanalytic experience to a meaningful application or adaptation of that understanding to the area of psychotherapy. The latter area is considerably broader in application than the narrow confines of psychoanalysis. Moreover, its practitioners are under considerable pressure in these times to apply skills and techniques in the interests of the resolution of psychological difficulties on a broad scale and in a compressed time frame. The problem is staggering in its implications and difficulty. It is interesting to recall, however, that it is not one of which the founder of psychoanalysis was unaware. Freud (1919) addressed himself to this problem in considering the lines of advance of psychoanalytic treatment. He gazed into his crystal ball and, prophet-like, foresaw the advancing course of psychoanalysis in future years. He noted that the number of psychoanalysts was necessarily small and that, even if each one of them devoted themselves intensively to the treatment of patients, they could, in fact, only treat a small number. This effort could hardly make a dent in the vast amount of neurotic misery in the world. In addition, economic necessities limited the availability of treatment to the relatively well-to-do, who were accustomed to choosing their own private physicians. Under such conditions psychoanalysts could do little for the wider social strata which also suffered from the scourge of neuroses. One of the problems, of course, is that the people who are most qualified to address themselves to this area of concern are specifically the psychoanalysts. Correspondingly, they are also the people whose experience is less intense in other realms of psychotherapeutic intervention to which Freud drew attention. This is obviously less true in the context of intensive one-to-one psychotherapy than it is in other areas. Nonetheless, there is a need for the amplification and application of psychotherapeutic principles to non-analytic contexts. It is terribly important, however, in the evolution of such an effort that it does not put itself in the position of being isolated from the gold that can be derived from the application of psychoanalytic insights. There is an urgent need in the contemporary state of the science and art of psychotherapy for psychoanalysts to be more actively involved in other realms of psychotherapeutic effort than the strict practice of psychoanalysis itself or the more broadly conceived area of psychoanalytically-oriented psychotherapy. Correspondingly, there is an increasing need for collaborative effort and communication between analysts and practitioners in other areas of the spectrum of psychotherapies in order to further the integration of analytic insights and perspectives with other emerging and more experimental realms of therapeutic intervention. The patterns of psychoanalytic practice have shifted toward a broader spectrum of forms of psychotherapeutic practice. Insurance agencies continue to exert pressure on providers of psychotherapy to limit the amount of coverage for outpatient individual therapy regardless of considerations of need, cost effectiveness, or longer-range benefits (Mumford et al. 1984). Such pressures continue to operate in such a way as to drive patients away from private treatment settings and toward short-term and less costly (but questionably cost-effective) treatment modalities. These pressures are increasingly apparent in the shifting patterns of psychoanalytic practice. The problems arise not only in the adapting of psychoanalytic principles to the broader realm of psychotherapeutic application but also from the social, economic and political milieu within which the practice of psychotherapy is carried out. The question at this juncture in the history of psychiatry and psychotherapy is whether such extrinsic factors will be able to provide a congenial environment within which the psychotherapeutic model can effectively operate or whether the most that can be anticipated will be a kind of uneasy and hostile tolerance. If there are inherent difficulties in this area of exploration and endeavor, having to do with the extension of psychoanalytic principles to psychotherapy, there is an overriding consideration which Freud could not have prognosticated and which may constitute a basic threat to the entire enterprise. When Freud gazed into his crystal ball and tried to envision the practice of psychoanalysis in future years he came prophetically close to describing something like the current situation in many of our health clinics and hospitals. This is particularly true in the public sector. If we recall Freud’s vision, he described a situation in which the right to treatment was universally established and in which third-party subsidization was the economic framework within which psychotherapy could be practised. That imaginary situation has become a reality in our time.